If you're looking for the best selection of garage door accessories and parts in Cambridge, you need look no further. We stock add-ons and replacement parts for every major brand and model on the market, along with general parts suited for custom systems and doors made by more obscure manufacturers. 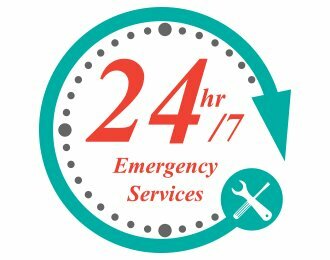 Eagle Garage Door fully backs all of its components along with the work that our technicians do, so you can get service without any worry. 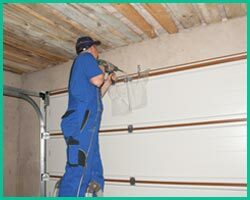 Springs are critical to the function of any garage door. If you're in need of a replacement spring, let Eagle Garage Door help you find the best possible replacement and also safely make repairs to your door. We stock a very wide range of extension and torsion springs as well as springs made for non-standard and custom garage door systems. 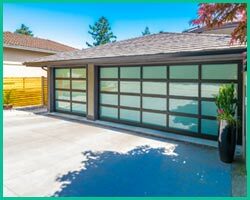 It's important to keep an eye on the condition of springs, as they are placed under the greatest regular strain of any part in the garage door system. When a spring is damaged, it can potentially cause the door to become stuck, or even cause it to descend unexpectedly. We can not only provide you with high-quality springs, but can also provide regular maintenance to catch potential spring problems before they develop. 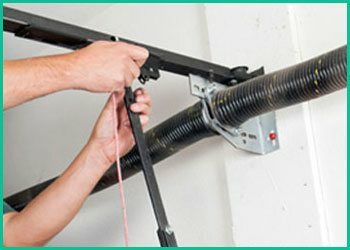 The torsion spring is one of the central forces propelling the intense weight of the garage door upward when it opens. Since the regular load on the spring is so great, this is one of the parts that is most likely to fail due to regular wear from normal operation. The expected time to need a replacement can vary greatly by door depending on the weight, the attached cable and the spring length among other factors. It's best to have a professional perform general maintenance periodically to check for signs of wear on the torsion spring. Most standard residential garage doors will have no more than two torsion springs. For significantly heavier doors, such as those used on large loading docks, there will be more springs present. 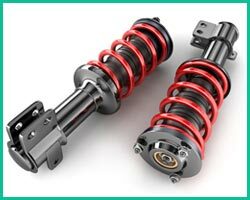 Unlike the torsion spring, which helps to pull weight up from the stabilizer bar, the extension springs are mounted directly on the pulley or the door frame and work to contract or stretch the door while it is moving. This helps to distribute and balance the weight of the garage door while it is pushed up toward the roof. However, there is a similarity to torsion springs in that they are supporting the full weight of the door each time it is opened and closed. Therefore, these springs should also be inspected periodically and should be replaced if they are showing dangerous signs of wear. A qualified technician should always do this due to the danger of improperly adjusting or removing a spring of this nature. Springs are the components of the garage door that are primarily responsible for holding up and shifting the door's weight. When these springs fail, the best-case scenario is that the door freezes in place; the worst-case scenario is that it abruptly and unexpectedly falls while elevated. Since springs are so critical to regular and safe operation of garage doors, Eagle Garage Door highly recommends regular preventive maintenance to keep them in good working order and to check for signs of strain. The constant pressure that these springs are subject to puts them at greater risk of failure than any other component, so it is vitally important that you engage a trained professional to install quality parts and adjust them properly.